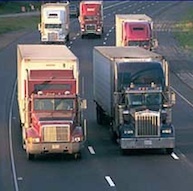 A CDL allows a qualified driver to operate a commercial vehicle. This includes panel trucks and big rigs, and all kinds of other vehicles. If you have a CDL, and especially if you use it as part of your livelihood, then getting a DUI is devastating. Back in 2005, Michigan increased the penalties for CDL holders to require that all CDL privileges be completely suspended for a full year when a person pleads to, or is found guilty of, any DUI related charge, such as OWI, Impaired Driving, or Operation Under the Influence of Drugs. The Law itself is very clear. This action is mandatory, and there is no way to Appeal it, or have any kind of “restricted” license. The bottom line here is that if you get convicted of a DUI, even if it involves operating your personal vehicle, your CDL is completely gone for a year. It certainly is understandable that a getting a DUI while operating a Commercial Vehicle would result in losing a CDL. However, the law here goes much further. It imposes upon a CDL holder a higher standard of driving responsibility than it does on a non-CDL holder, including when a CDL holder is simply doing his or her normal, personal driving. In an upcoming Blog article, we’ll examine in more detail just how far this goes, because the law also imposes CDL penalties for a bunch of other offenses, all while the CDL holder is only involved in personal, and not commercial, driving. Anyone with a CDL can imagine just how devastating this 1-year suspension can be. If a person drives a truck for a Utility Company, for example, they can no longer do that for the year during which their CLD is suspended, although typically, they never lose the right to drive their personal vehicle, except, perhaps, for a short period of dealing with a Restricted License. If a person drives a commercial vehicle for a living, then, to but it bluntly, they are “screwed.” Personally, I think this law goes too far, but for all my personal disagreement, the law is the law, and whether your Lawyer agrees or disagrees with it does not change its effect. The catastrophic impact this can have on a person’s livelihood makes it absolutely imperative that the Lawyer handling their DUI investigates all possible defenses to the charge. While that should always be the case, it is doubly so the case here. Sometimes, a DUI can be challenged based upon the legality of the stop, or the reliability of the breath or blood evidence taken, or the method by which it was taken. In other cases, the charge is just rock-solid, and all the challenges in the world are just an expensive way to put off the inevitable. However, that determination should be made only after an intensely thorough examination and investigation has been completed by the Lawyer who is handling the case. If you are facing a DUI, even one issued while driving your personal vehicle, and you hold a CDL, then bear in mind that the potential consequences can be devastating. While that it was the intention of the State Legislature when they passed this law, it is certainly important to leave no stone unturned in an effort to avoid those consequences.